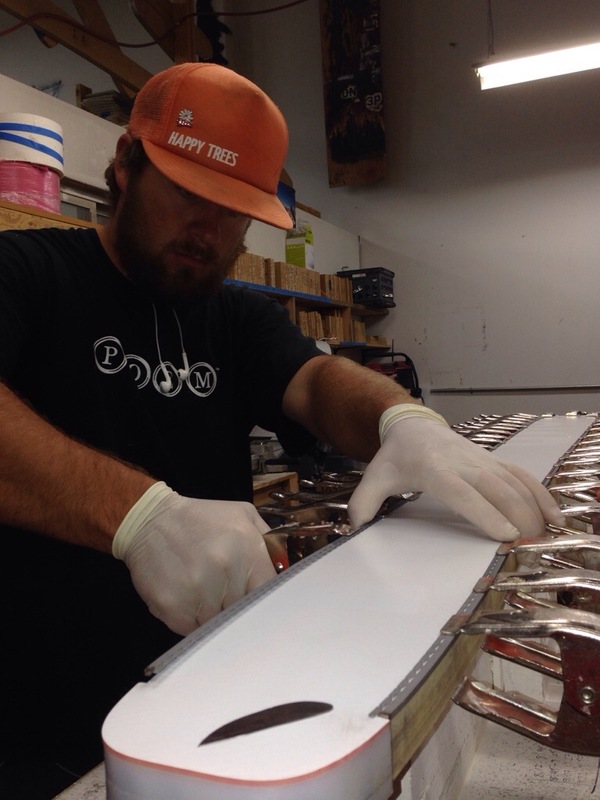 Swung by the On3p Factory yesterday to help out and talk ski design. Handmade, physical connections with the tools that help us create joy are not just cool by way of anachronism, or worthwhile because they connect us in an ever more digital age. I see skiing or mountaineering or even just living as creative processes. Honoring the journey of a piece of gear takes in the minds and hands of those who imagine and build them is to see beginning of the equation between the reality of achievement and the tools that make it possible. Gear opens the door to new projects–the demands and wants of where we go form the gear we need to get there. Presses and route finding, construction techniques and courage. These dreams are expoxied, sewn together.